In my previous post, I had covered everything one needs to know while visiting Port Blair. After Port Blair, the next destination that anyone goes to, is none other than the famous Havelock Island. 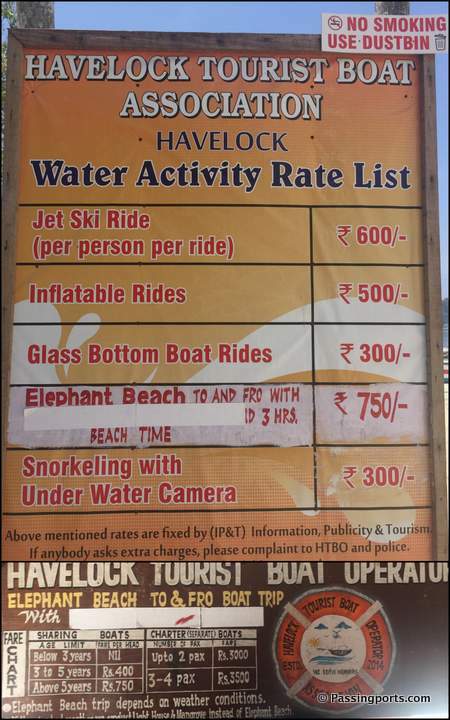 Let’s just say that a trip to Andaman Islands is never complete without stepping foot in Havelock. Dive in, shall we? We cruised through the blue Andaman waters from Port Blair Phoenix Jetty and reached Havelock Jetty in 90 minutes. You can choose between two different ferry operators and a government operated one. 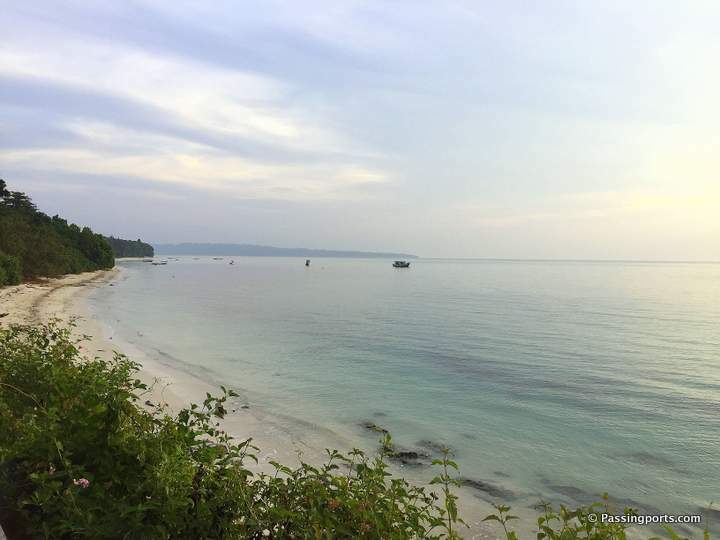 Both the times I’ve been to Andamans and Havelock Island, I have been on Makruzz and have absolutely no complaints. You have a decent snack counter and the restrooms are clean. Check this link to know the timings and availability to book in advance. Havelock Island is a Y-shaped island in terms of roads and connectivity. The end of the Y is the Jetty, one side takes you to Vijaynagar Beach and Kalapathar Beach and the other leads to Radhanagar Beach. We stayed on the Vijaynagar Beach side and this side offers many hotels and resorts to choose from. I did not find many on the way to Radhanagar Beach so you might want to research a bit on that. This is where I stayed and loved it. Havelock is perhaps the most gorgeous of islands in India. 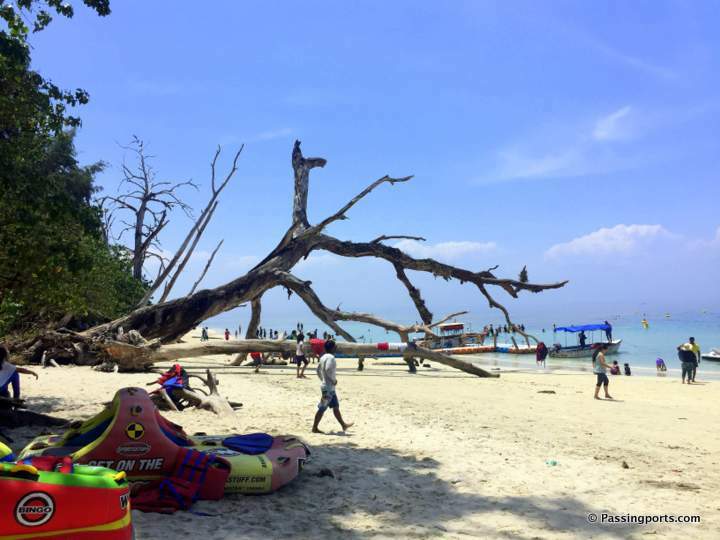 Imagine crystal clear water, white sand, blue skies, fallen old trees which make it the perfect backdrop for that photo – Havelock Island it is baby! 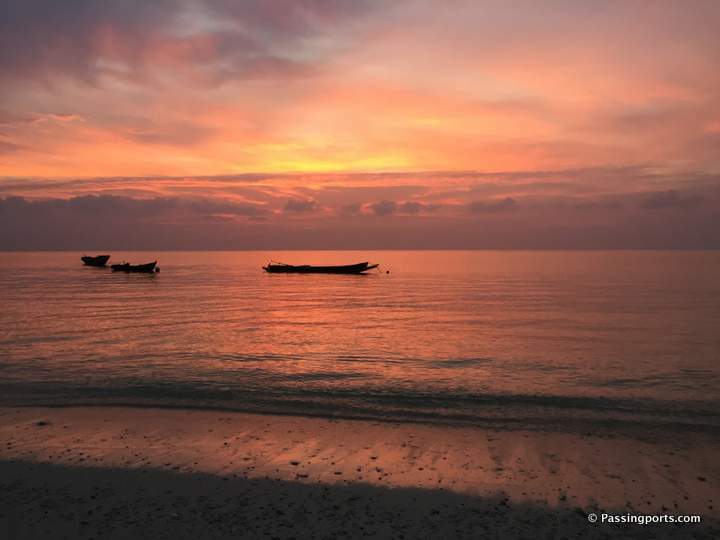 What is even more exceptional in Havelock Island are the beautiful colours of sunrise and sunset you get to witness. The sun is up by 0500hrs and sets before 1800 hrs, so I suggest you plan accordingly to ensure that you don’t miss these sights. The best way to explore this island is on a two wheeler. Contact Yasir – 9476089043. He was our guide, runs a cute little shop and was our go to guy for everything on Havelock Island. He helped us rent bikes as well. Beach Please – You have three beaches to visit. Radhanagar, Vijaynagar and Kalapathar. The last two are closer to each other as they fall in the same stretch while Radhanagar is on the other side of the island. Watch the sun rise from the Vijaynagar beach and sunset at Radhanagar beach. Water activities – Just like in any other island, one can scuba dive (PADI), snorkel, take the glass bottom boat rides etc. 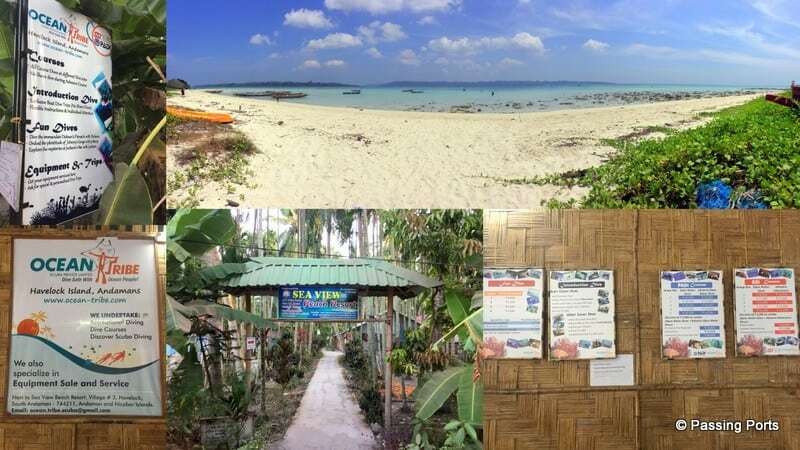 A visit to Elephant Island – This is again more to do with watersport activities like walking on the sea bed to feed those fishes, jet ski, banana boat rides etc. 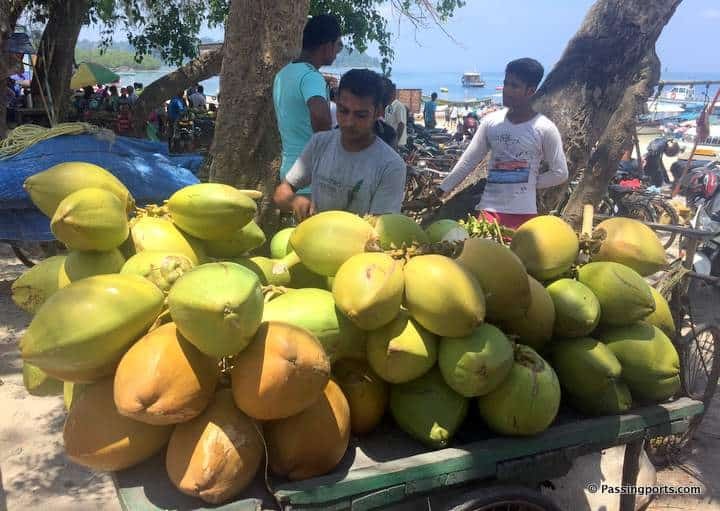 Please ensure you carry enough drinking water as there are no shops that sell water, you will only tender coconuts, that too at princely sums. Shopping – The Vijaynagar Beach road has lots of restaurants and places to shop. The lady at a shop in Kalapathar Beach blew the conch with ease. This is something exciting to do, has a lot of significance and benefits and trust me, it’s not that easy to master this art! Go on and try it yourself when you see one. Eating – All you seafood lovers can just binge on the different varieties of seafood that’s available on the menu. My friends were totally raving nonstop about how yummy the food was 🙂 I do not have any photos of the seafood as I am a vegetarian 😀 The nights are busy in Havelock Island and bustling with people in high spirits. Enjoy this laid back atmosphere, warm people, great landscapes, huge tender coconut filled island. I can promise you will never want to leave from Havelock Island. Just go! My pleasure Roshni 🙂 Wish you the best of fun! Looks incredible, love the pictures you have taken they are really enticing 😀 and I can see why Havelock Island is a must visit place. I love Islands like these, I can just imagine sitting on the beach to watch the sun set with those incredible colors. Havelock is another paradise on indian land. We enjoyed being there and each n every corner of havelock is so beautiful. Thanks for sharing. I agree.. it is PARADISE. I must say that off season is the best time to travel here.